Landing on Icy Wilds almost feels like being thrown into a fairytale-like scene with a melancholic soundtrack, easing visuals, and inviting characters all making you long for a winter walk in a by-gone era. 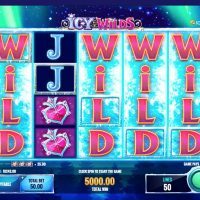 Though the game isn’t at all affiliated or based on the Disney film Frozen, you do automatically think of when seeing the whimsical fonts, the imposing, smiling Princess and all of her jewellery. The graphics and the buttons really stand out providing a proper 3D feel to the game, which is not matched to this standard by all that many competitors out there. 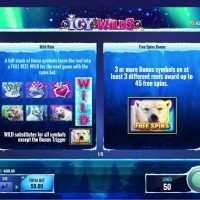 All the symbols are either linked to a winter landscape or a snow queen with a princess, a crown, a ring, an amulet, a snow tiger, an owl, and a short-tailed weasel all featuring, plus the usual A, K, Q, J, and 10’s. 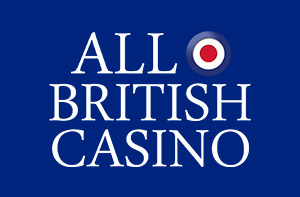 The best symbol to hit is the princess which returns great odds of 500/1. The crown is next, then the ring, the amulet, the tiger, the owl, the weasel, then the classic slot symbols in no particular order. 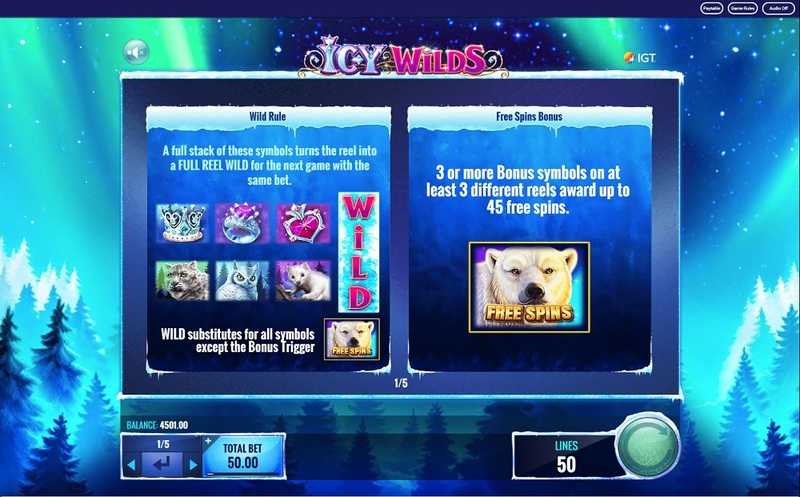 There is no bonus round as such, but you can win up to 45 free spins by hitting three polar bears on any three reels, though it is rare and hard to hit. 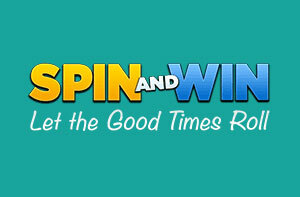 One thing you should look out for on this game is that following the end of a spin, if one of the lines is sparkling, you know that the line will go Wild on your next spin – so don’t stop playing if that’s showing! 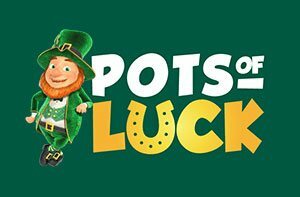 You can’t bet on different lines, but this game can be played by any player with any budget as the minimum bet is 50p and the maximum is a massive £15,000. The house edge is a minor 3.85%. 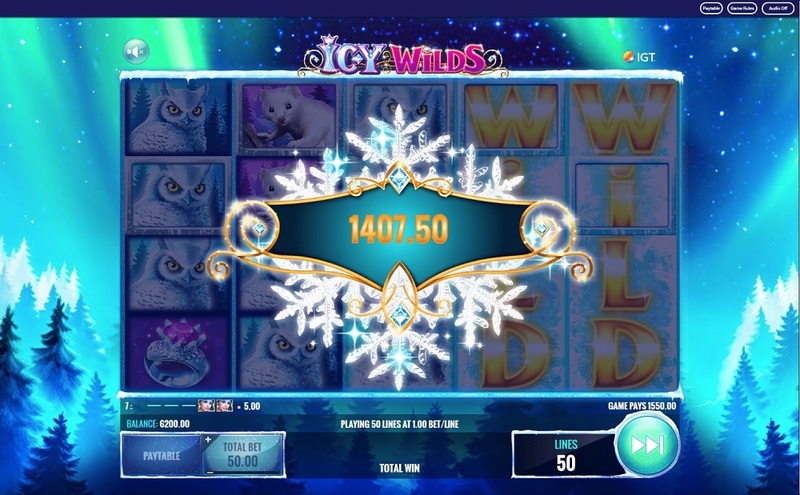 There is no autoplay function which is strange for a game as modern as Icy Slots. 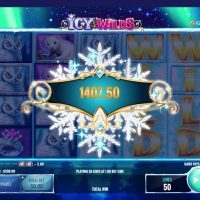 Icy Wild is a cool game! See what I did there? Okay, sorry. 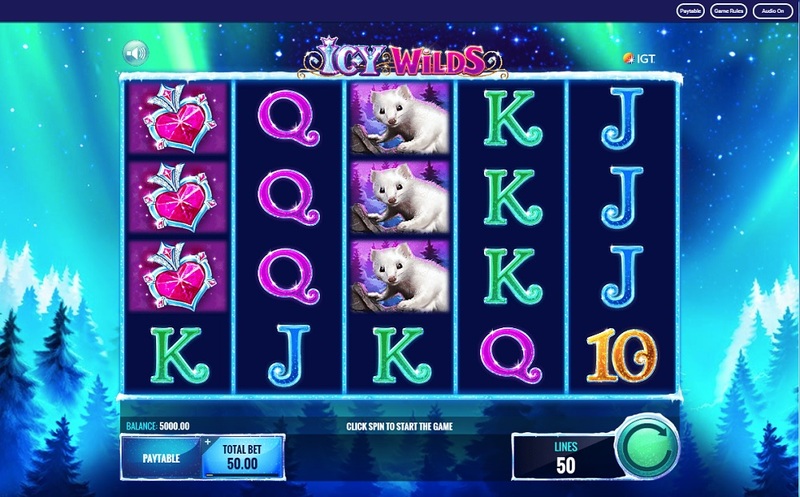 But, anyway, it is very good, and one of the things that stands out immediately is that every time you get a Wild the whole row goes wild with it, which gives this game a unique twist, and gives you a very good advantage. This is all reflected in the house edge too which stands is at a mere 3.85%, one of the lowest you’ll see, and there is a huge choice of betting options as well. The visuals are really excellent, they really draw you in and they’re as good as you’ll find anywhere, and the whole game has a very personable feel to it with inviting symbols and continuous wins. 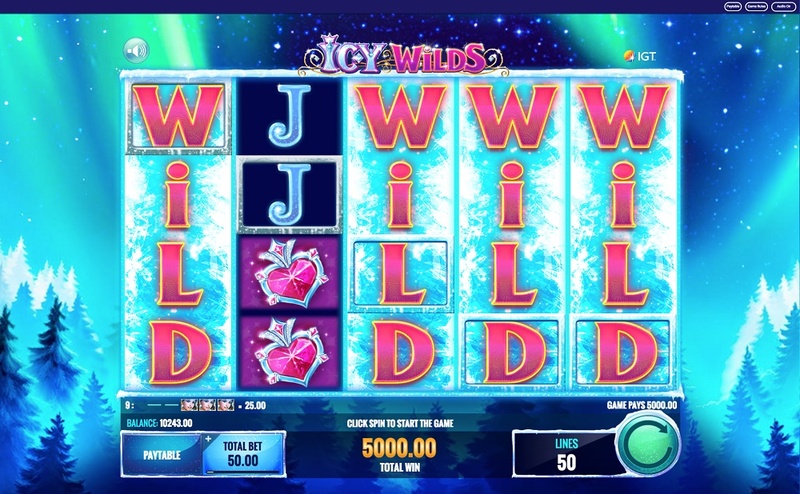 This game might not be heralded as much as other slots out there, but it’s as good as anything online right now.